The Barbados Defence Force Community Outreach Programme recently assisted the Eagle Hall Primary School in its learning and beautification project. 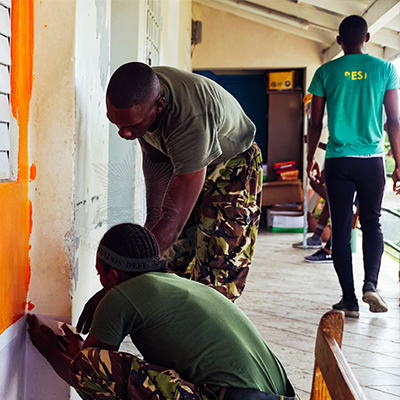 Personnel from the Barbados Regiment (BR) painted and organized classroom and general area spaces and were proud to make a tangible contribution to the student body. Military Assistance to the Civil Community (MACC) are traditional and significant undertakings of military forces worldwide where they help bond individual servicepersons and units with the populations and nation states they enjoy the privilege of serving.